Some airlines have changed the way they refer to Taiwan, due to a request that amounts to a threat from China’s communist regime. 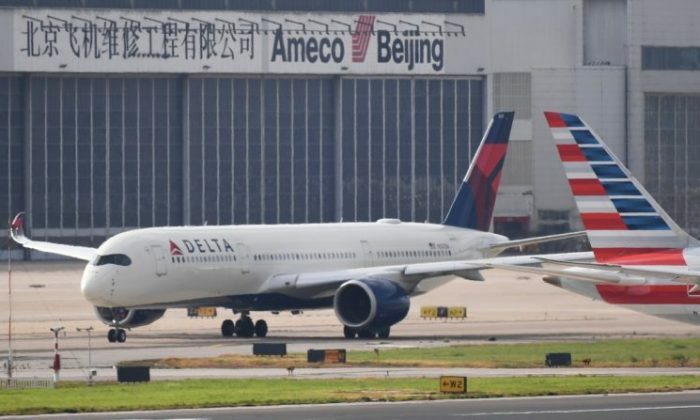 The regime sent a notice to airlines doing business in the country, including U.S. operators like Delta and American Airlines, to update websites and materials in the way they reference Taiwan. Chinese authorities now require them to make sure listings of Taiwan do not indicate it as a separate entity from China. United Airlines, Delta, and American Airlines have all changed how Taiwan is presented to visitors on their websites. Travelers looking to select Taiwan as their destination will not see a country name, just a city and airport name. The letter from the Civil Aviation Administration of China issued a deadline of July 25. The U.S. airlines waited hours before the deadline before changing their websites, Reuters reported. Some carriers outside of the United States have gone further to meet the demands of the letter, they’ve directly indicated Taiwan as a place within China, AP reported. The White House took a strong stance in objection to China’s demands on airlines. A White House statement mentions the notice China’s air authority sent on April 25 to 36 airlines not based in China but doing business there. Airlines that don’t make the change face trouble operating in China and threats to their business dealings in the country. Chinese authorities said the changes made by the three major U.S. airlines mentioned above, plus Hawaiian Airlines, had not completely satisfied the demands in the notice, but did not say what was missing, according to the Reuters report. “That is a fact which cannot be easily erased by simply removing the name of Taiwan from the internet. The people of Taiwan will not bow to pressure,” said Taiwan’s presidential spokesman, Alex Huang, via The New York Times.